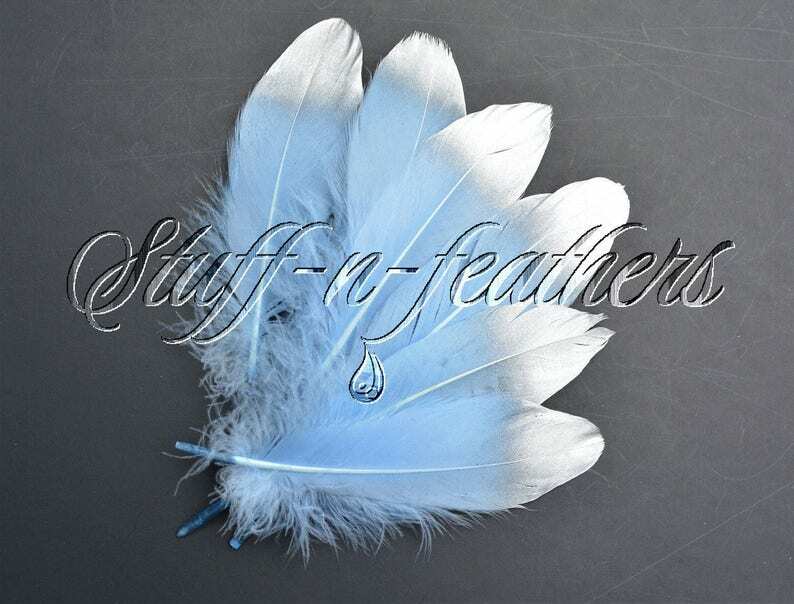 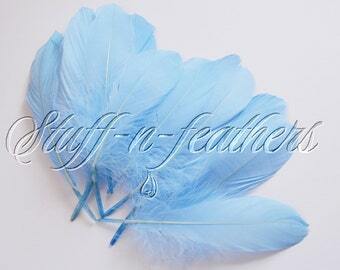 This is a listing for 6 loose hand selected premium Baby Blue Goose feathers with silver tips. 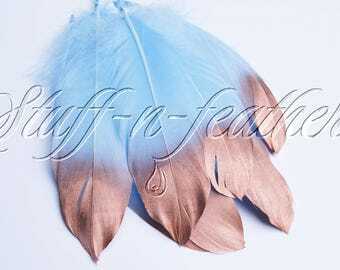 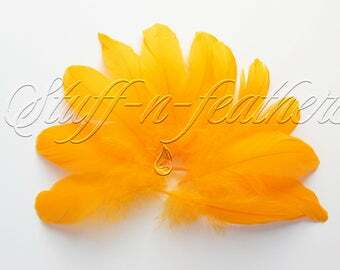 These feathers are lightly painted with metallic silver paint at the tips (painted on front side only). 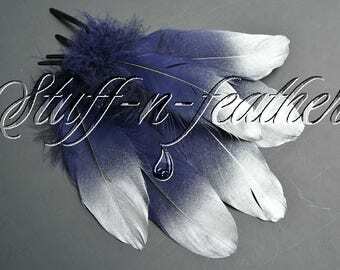 Silver color is not absolutely solid and has dusting effect slowly disappearing and creating beautiful transition. 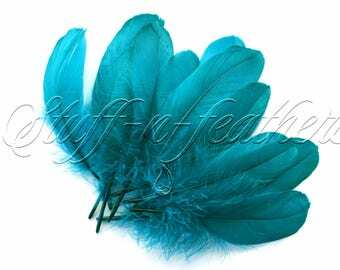 This type of painting with Metallic silver does not affect the quality of the feathers is permanent and water and scratch resistant.